Book DescriptionGrandmaster are beating Grandmasters whether they accept or decline 1.e4 e5 2.Nf3 Nc6 3.Bc4 Bc5 4.b4. Kasparov was one that lead the way. The text may force a re-evaluation of most Evans Gambit analysis. The author's improvements were sent by the author to Kasparov's agent in London. This is the first modern treatment of the Evans which reflects to a high degree the overwhelming body of games won by White. 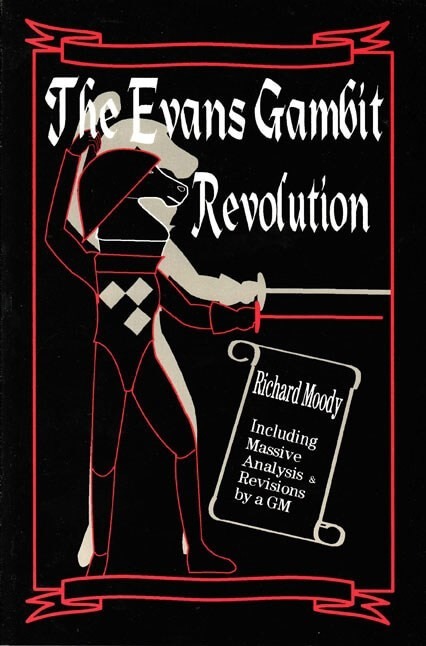 This book gives good analysis and advice on a very strong and dynamic weapon to use against 1..e5 players.